Feb 3 we will have the annual JAG 28 CrossFit Hero WOD at Innovate Fitness in Tuscaloosa, AL. We are very appreciative of the support from so many who didn’t know Mark, as well as the continued support from family friends Chris and Caroline Sprayberry, who are making it happen again for the fourth year in a row. All proceeds benefit The Mark Forester Foundation. For those not familiar with the workout, it was developed by Mark’s friend Jason Stanley several years ago, in cooperation with his CrossFit box’s owner, and later adopted by CrossFit.com. Gyms across the country perform this WOD. Mark loved pull-ups and kettlebells. The pull-ups are “strict” because Mark never did anything half-way. 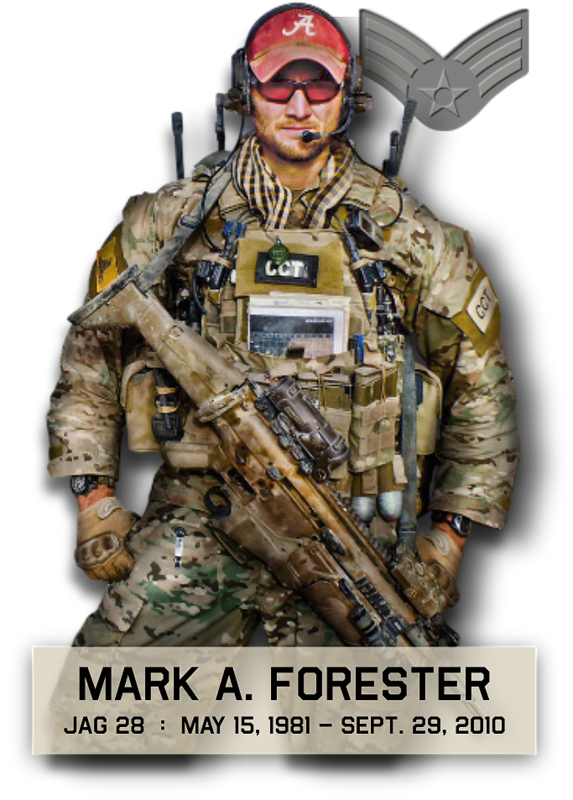 The significance of the # 28 is that was Mark’s call sign, which was retired when he was killed-in-action.